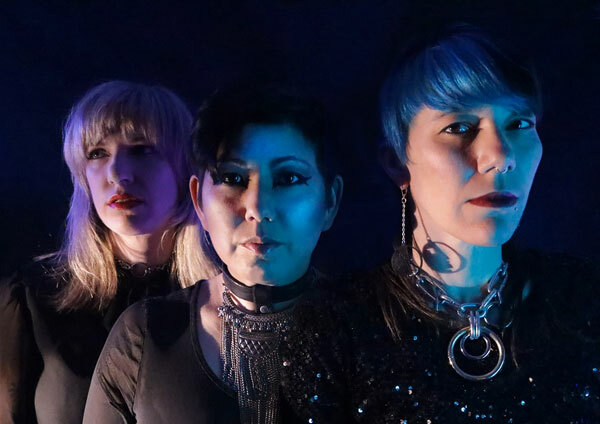 For their forthcoming Peel Sessions style recording produced by Part Time Punks, dark post-punk group ÖTZI from Oakland, California have shared the new track, Ballad of Oiwa, premiered at renowned site Post-Punk.com. Emerging from Oakland, California, ÖTZI has been quickly gaining a fervent worldwide following amongst post-punk and dark music fans. At times haunting and at times aggressive, Ötzi delivers a driving rhythm blanketed by the intertwining melodies of two vocalists and abstract guitar washes. The trio recently returned from their European Superstition Tour, which covered 14 cities including the Return to the Batcave Festival in Wroclaw, Poland. Currently, the band is releasing an EP entitled ‘Part Time Punks Sessions’. Tracked in September 2018 just after Ötzi played the renowned Part Time Punks live concert night, the recordings were produced by the KXLU radio show of the same name. The recording series is designed with John Peel’s legendary Peel Sessions in mind. The series allows promoter and DJ Michael Stock the opportunity to create alternate versions of the alumni’s material, adding a distinct imprint to a growing catalogue of post-punk and dark wave recordings. The EP offers a brand-new single, Ballad of Oiwa. A boon to their newest “Part Time Punks Sessions” EP, the recording offers a taste of both Ötzi’s nuanced studio sensibilities and the emotional rawness of their live sets. Hinting at influences that include the eerie howls of Siouxsie and the Banshees, the urgent beats of Xmal Deutchland, the desolate landscapes of The Cure, and the passion of the Poison Girls, the 4-song EP is immediately commanding and remains evocative long after its first listen. “Part Time Punks Sessions” is being released jointly by the record labels Psychic Eye and Near Dark on February 28, 2019. Meanwhile, Ötzi is working on their sophomore album with an anticipated release in late 2019. 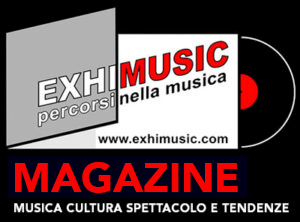 Oggi è Venerdi 26 Aprile 2019 – Sono le ore 10:31.